www.downloadslide.com 382 Part Four Organizational Processes authority is pushed down to lower levels, where employees are able to make decisions on issues within their narrower range of responsibility. TECHNOLOGY Technology is another factor to consider when designing the best organizational structure for the situation. 79 Technology refers to the mechanisms or processes an organization relies on to make its products or services. In other words, technology isn’t just the equipment used to make something; it also includes how the production process is physically arranged and how the production work is divided among employees. The two main technological contingencies are variability and analyzability, both of which we described as job characteristics in Chapter 6. Task variability refers to how predictable the job duties are from one day to the next. In jobs with high variability, employees perform several types of tasks, but they don’t know which of those tasks are required from one day to the next. Low variability occurs when the work is highly routine and predictable. Task analyzability refers to how much the job can be performed using known procedures and rules. In jobs with high task analyzability, employees have well-defined guidelines to direct them through the work process. In jobs with low task analyzability, employees tackle unique situations with few (if any) guidelines to help them determine the best course of action. An organic, rather than a mechanistic, structure should be introduced where employees perform tasks with high variability and low analyzability, such as in a research setting. The reason is that employees face unique situations with little opportunity for repetition. In contrast, a mechanistic structure is preferred where the technology has low variability and high analyzability, such as an assembly line. Assembly work is routine, highly predictable, and has well-established procedures—an ideal situation for a mechanistic structure to operate efficiently. SELF-ASSESSMENT 13.2: Does Your Job Require an Organic or Mechanistic Structure? Different jobs require different types of organizational structures. For some jobs, employees work better in an organic structure. In other jobs, a mechanistic structure helps incumbents perform their work better. Think of the job you currently have or recently held, or even your “job” as a student. You can discover which structure is better for your job by locating this self-assessment in Connect if it is assigned by your instructor. organizational strategy the way the organization positions itself in its environment in relation to its stakeholders, given the organization’s resources, capabilities, and mission ORGANIZATIONAL STRATEGY Organizational strategy refers to the way the organization positions itself in its environment in relation to its stakeholders, given the organization’s resources, capabilities, and mission. 80 In other words, strategy represents the decisions and actions applied to achieve the organization’s goals. Although size, technology, and environment influence the optimal organizational structure, these contingencies do not necessarily determine structure. Instead, corporate leaders formulate and implement strategies that shape both the characteristics of these contingencies as well as the organization’s resulting structure. This concept is summed up with the simple phrase “structure follows strategy.” 81 Organizational leaders decide how large to grow and which technologies to use. They take steps to define and manipulate their environments, rather than let the organization’s fate be entirely determined by external influences. 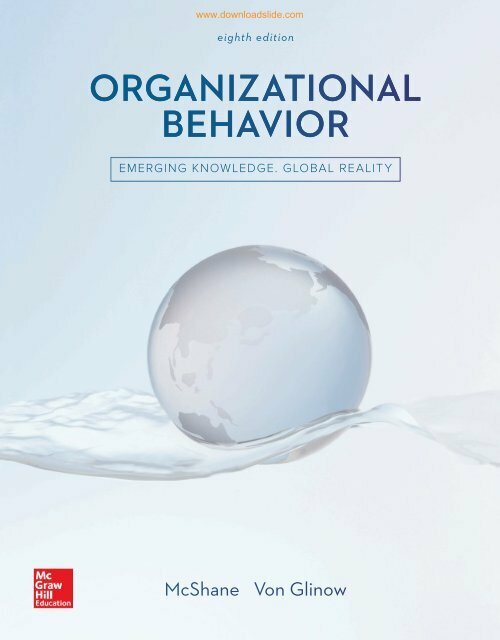 Furthermore, organizational structures don’t evolve as a natural response to environmental conditions; they result from conscious human decisions. Thus, organizational strategy influences both the contingencies of structure and the structure itself.